. 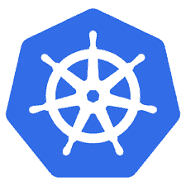 Kubernetes is an open-source container-orchestration system for automating deployment, scaling and management of containerized applications. It was originally designed by Google and is now maintained by the Cloud Native Computing Foundation. This means that you don’t need VMWare and probably won’t need Linux or Windows licences. Vendors ship their software in Docker contains which are preloaded, preconfigured with Ubuntu and all the software stack. The host is controlled by Kubernetes. This is a great way to roll out patches. One speaker from IBM claimed that they can now patch complex systems in minutes rather than hours. RedHat have OpenShift which is an alternative to Kubernetes. GDPR: 80% of companies don’t think they will be fully GDPR complaint before the end of 2018 – it’s a long journey and to a large extent it’s never complete and has to become Business As Usual. “Compressing time to value“, this can be achieved through Self Service Applications and Automation. “Continual Touch“, this is a business model objective where you try to be constantly working in partnership with your customer to provide a service. It’s an extension of cloud and SaaS (annuity model hosting). Security concepts – “Session Break” and “Secure Proxy”: These are useful concepts for keeping backend systems secure. Session Break means that a process can’t talk directly end to end to achieve a given outcome. For example, a customer might place an order via a website. Instead of having the website write the order directly to the fulfilment system it places an XML or JSON representation of the order on a file server. An entirely separate process then picks up any new order files. This helps protect the backend fulfilment database as the web application doesn’t have any access to that database. Secure Proxy is similar, it means that external users login to an application using a set of user credentials that are only valid on the proxy itself. The proxy then forwards requests to the backend or maps the external user to an internal user. This again protects the backend application.